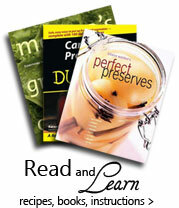 Enjoy recipes for homemade, sauces, soups, dinners and desserts. Whip cream into soft peaks. Combine with fruit and put into ice cube trays. Freeze, stirring at intervals when edges become frozen. Serve while still slightly soft.